When you flip a coin to make a decision, there's an equal chance of getting heads and tails. What if you flipped two coins repeatedly, so that one option would win as soon as two heads showed up in a row on that coin, and one option would win as soon as heads was immediately followed by tails on the other? Would each option still have an equal chance? Po-Shen Loh describes the counterintuitive math behind this question. Lesson by Po-Shen Loh, animation by Augenblick Studios. If your child is in elementary school or high school, they have had some type of mathematics in school. The intensity of the courses differs a great deal throughout these years. Some courses are not even required once your child gets into high school, but if your child has the desire to be in a field like medicine or engineering, they would be wise to take upper level mathematics courses in high school. If you are not able to help them, look for a tutor who can do so. It will help both of you. Some people might assume that they could not go into a field like medicine or engineering if they struggle with these courses. It is true that you will need to take some difficult courses in this study, but it is not true that you need to necessarily be good at it. It is important not to discourage your child from one of these fields if they struggle with mathematics. Rather, you should hire someone to do math tutoring with your child, so that they can learn to like the course or at least do okay at it. When looking for a company to do math tutoring for your child, it is important to take several things into consideration. It is important to choose an agency that has qualified and experienced staff. They should not just be good at mathematics; they should also be good at working with children. Sometimes it just takes someone applying a subject in a different way for a student to begin to do well at it. It is also important for the teachers that tutor to be professional yet fun and encouraging. It is important that the tutor does not become a close friend. Anytime a teacher becomes friends with their students they lose the authority to really be the teacher they need to be. Make sure when looking into agencies that you find one that does background checks on all tutors. You need to know that the individual in your home teaching your child is trustworthy. You will not want to be hanging over their shoulder during every lesson. Trust is essential. Results are also essential. If after a few weeks of having a tutor your child has made no progress towards improvement in their subjects then you might consider another agency or talking to the agency about a new tutor. The cost of the math tutoring is likely also a concern. If you go with a tutor through your child's school, it might be less expensive than other agencies, or it might be more. You will want to compare and contrast various aspects between the tutors that you might find online and those at the school. 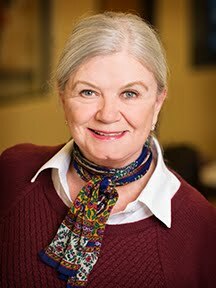 Lesson by Eleanor Nelsen, directed by TOTEM Studio. Your family's days are jam-packed, but there are still moments to enjoy reading with your child. Get started with these great ideas. My five-year-old daughter's whining has me running through a mental checklist in an effort to find a reason. Hunger? Nope. She’s been fed. Tired? Unlikely. She slept well last night. As I cross off all the usual suspects it dawns on me that she could very well want some one-on-one time to reconnect. And I've found that the easiest way to do so is through her love of books. So, I take five minutes out of a hectic day to snuggle up with her and we read. Reading aloud to children is excellent for creating a sense of connection. So, naturally, reading aloud regularly is a simple way to maintain that feeling. Research shows that both kids and parents say they love that time, according to the Kids and Family Reading Report, 6th Edition. But what about those times when you're really struggling to find opportunities to read aloud? Here are a few ideas that are particularly useful for those busy occasions. 1. Look for snippets of time in your family routine. 2. Take 5 minutes before you start the day. Start the day off right with five minutes of an extra-special snuggle in bed, plus a short story or a few pages of a chapter book or novel. 3. Share interesting magazine articles or news stories. Reading these at the dinner table can spark insightful discussions about local or societal issues with older children, allowing you the opportunity to find out what your children think and feel about topics that matter. 4. Take advantage of waiting times. Carry a book in your handbag or keep a small collection in the car so you can always take advantage of waiting times. 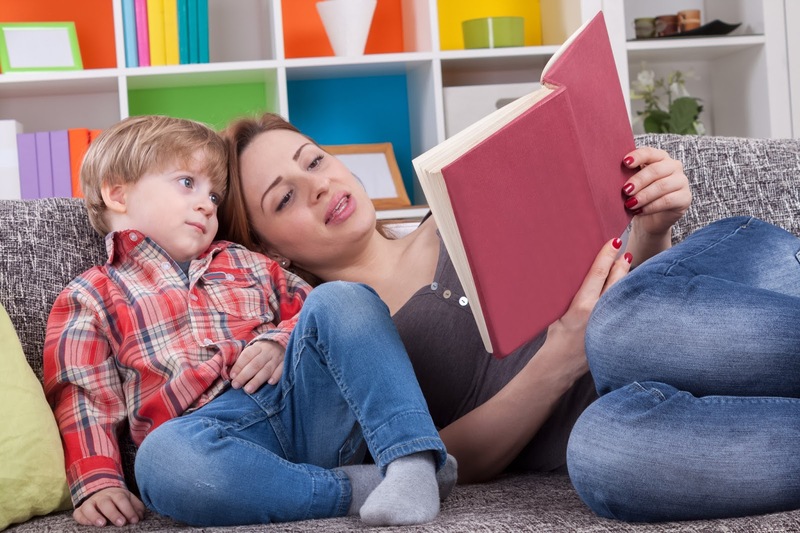 You might read to your younger children while waiting to pick up an older child from school or read in the doctor’s waiting room or while waiting for your order at a restaurant. 5. Invite older children to read. On those days when you simply have to get things done, invite an older brother or sister to read to your younger ones. This fosters a connection between siblings and provides your older child with valuable read-aloud practice. 6. Read as you ride. While it might not fit the traditional model of reading aloud, playing an oral word game like the Alphabet Game while you're driving to school engages your kids with letters and words. Directions for the Alphabet Game: Players attempt to each find a word that begins with each letter of the alphabet -- in order -- on road signs and building signs and more. Once the letter the player is looking for is sighted, he must say the letter and the word. For example, “A in Avenue.” The winner is the first to make it to Z, or the player who makes it furthest through the alphabet by the time you reach your destination! 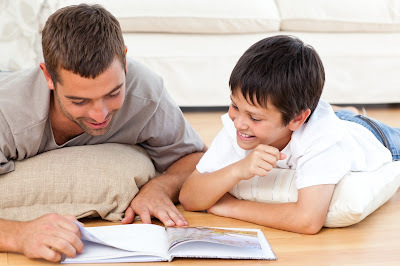 Adding just one of these ideas to your daily routine will provide a valuable opportunity to connect with your kids through the magic of reading. See firsthand how positive and negative reinforcement can affect a player’s game on the court. Books that your children find funny can play a big role in developing and enjoying their reading. A daily dose of laughter from reading funny books is good for the soul — and great for growing readers. Naturally, most children enjoy reading and listening to humorous stories. As parents, we can use this interest in silly books to boost literacy skills. Here are four benefits of kids reading books that make them laugh. On the most basic level, kids who read or listen to funny books and enjoy them will associate the act of reading as being fun. This is especially important when matching books to struggling or reluctant readers, as it's a great way to help kids connect and fall in love with books. I often think of The Book with No Pictures by B.J. Novak, which is geared towards little ones. It's a book with no images — just words — and it is hilarious. I haven't seen a group of kids listen to it without laughing. Kids who already enjoy listening to or reading books are more motivated to read, especially if given the choice of which books they read. Reluctant and struggling readers, in particular, need to find books that hook them in and keep their interest. As adults, the potty humor in Captain Underpants by Dav Pilkey has the potential to entice a child to want to read the whole series. Think about going to a dinner party at your best friend's house. If you are laughing, enjoying the food, and curious about how the evening will unfold, chances are you're going to want to stick around. It's the same with reading a funny book. Kids are laughing, enjoying all the silly happenings, and can't wait to find out what will happen next, so they want to keep reading. We tend to remember information that is associated with a certain emotion or sensory triggers. The part you probably remember from the last trip to the ice skating rink was when Daddy fell and caused a chain reaction of falling skaters. Or, perhaps you remember your last birthday because your friends dug up all the pictures of you from years ago with your crazy hairdos. We remember these parts of the stories because they make us laugh. When kids read funny stories, they relate to the events of the book and that helps them remember more of what happened in the story. Funny books generally contain a lot of dialogue too, which helps kids connect with the characters in the story. A challenging situation can often be lightened with a little humor. It helps break the tension and creates dialogue to tackle the problem. Laughter is also a bonding activity that aids in developing trust so that open communication can take place regarding the difficult situation. The laughter can come from funny books where characters grapple with the same tough topics the reader is facing. Those life events and curveballs might include divorce, death, or peer issues. All of us can often see the lighter side of our problem through humor. Grab a stack of funny books and let your child's love for reading grow one giggle at a time! Lesson by Peter S. Ungar, animation by Cabong Studios.